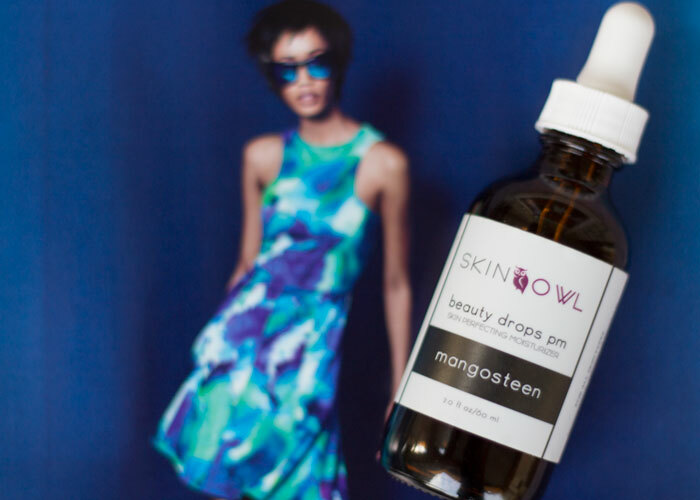 I knew there had to be a deeper reason for why I was so drawn to Skin Owl’s Mangosteen Beauty Drops PM, an oxygenating, two-ingredient oil that reignites the glow of tired, dull skin. Besides the fact that it’s been a secret weapon in my evening routine during pre-menstrual skin freakout weeks, its star ingredient, mangosteen, is local to Vietnam, where my mom is from. As I was prepping this review and doing a little research on Skin Owl and its founder, I ran across this post from Well + Good and immediately sent it to my mom, along with a picture of the mangosteen fruit and Vietnamese name for it. “Ever eaten this before?” I texted. “Yes, it’s good. We have it in Vietnam. Where did you see it?” she responded. So of course I’m assuming my mom is face-palming herself, but she instead says that the next time I come home, she’ll buy it for me to try (you can get these exotic fruits at the Vietnamese store). To eat. And maybe I will slather it on my face, too. Because that’s how Skin Owl founder Annie Tevelin discovered its goodness while on a trip to Halong Bay (near Hai Ninh, where my mom was born). She was clever enough to bottle up this goodness and bring it home for the masses who don’t have a Vietnamese mom but do suffer from lackluster skin, cystic acne and dryness all at the same time. Mangosteen’s natural antibacterial and antimicrobial properties help to heal blemishes and balance oily skin. In combination with organic, cold-pressed baobab oil from South Africa, Skin Owl Mangosteen Beauty Drops PM offers a shot of light moisture to address combination skin while further protecting it from free radical damage thanks to the powerful xanthones within mangosteen oil. 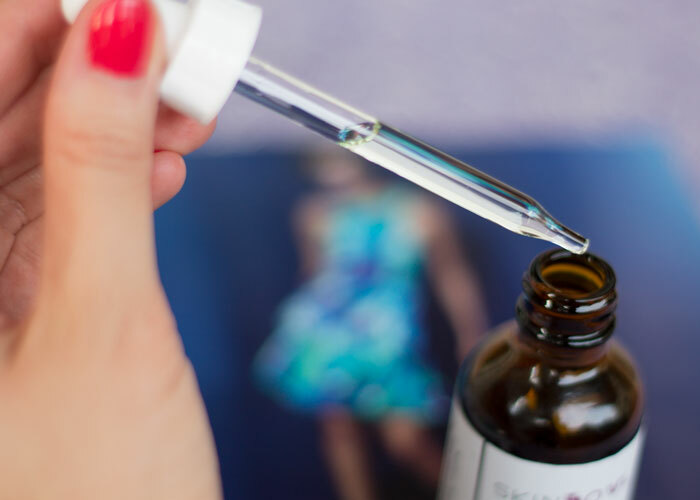 I love mixing a half a dropper full of Skin Owl Mangosteen Beauty Drops PM with a dollop of this fantastic exfoliating serum for a powerhouse, skin-brightening cocktail that has my skin looking and feeling luminous in the morning. Because Skin Owl Mangosteen Beauty Drops PM is such a simple yet elegant and effective formula, it’s one that’s a bit easier to combine with evening vitamin A treatments without a worry of irritation (but you should always patch test first to confirm your skin doesn’t react!). Skin Owl Mangosteen Beauty Drops PM smells both tart and sweet, similar to a tart cherry, and the clear oil glides onto skin leaving a light sheen that looks especially pretty on cheeks and hands (yes, I like to put my face oils on my hands sometimes). The oil can also be used as a deep hydration mask by applying a full dropper onto the face and allowing it to drench the skin. Press a warm cloth onto your face to get a spa-like experience and relax for 4-5 minutes. Dab off excess oil and allow the rest to continue sinking into your skin. Talk about a mega-luxurious treat! When it comes to the bottom line — results — Skin Owl Mangosteen Beauty Drops PM is on my repurchase list. There’s something about this oil beyond the motherland connection that has really helped my skin appear less tired and dull. I still break out (and I have had some pretty horrible breakouts in the past month), but I do notice a difference in clarity and balance to my skin in the morning after using this oil, especially in combination with an exfoliating serum. The next item on my agenda: To run out to my local Vietnamese store to scoop up some mangosteens to experience how delightful they taste. And feel on my skin. And OK, go home and visit my mom (Hi Mom!). Have you tried anything from Skin Owl? Ever tasted a mangosteen? What other tropical fruits taste great and work well on the skin? Tell me in the comments section!